Chile inaugurated in 1852 the second railway of South America, the standard gauge from Caldera, a remote place on the Pacific, to Capiapo. Its initiator, William Wheelwright, envisaged even an extension to Argentina, but it never was built. The important line from the Pacific harbor Valparaiso to the capital Santiago was also planned by Wheelwright, then continued by Meiggs and opened in 1863. 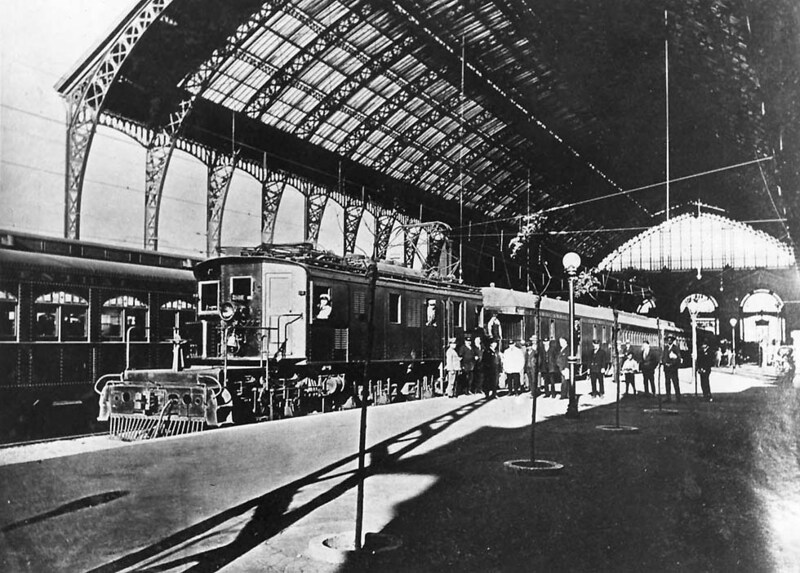 On that government-owned 5ft6in broad gauge Valparaiso - Santiago Mapocho several trains daily did run, used also by the few Ocean passengers. From 1908 small-wheeled 4-6-0 locomotives from Borsig replaced the 4-4-0 engines. In 1924 the line was electrified with 3kVdc. Ungainly maroon-colored Baldwin engines hauled the expresses, which also included diners. Later railcars replaced them. In the '80s electric units of the Metro Regional de Valparaiso terminated at Santiago Alameda station and towards 1993 the services disappeared. Buses are the expresses for Valparaiso, though a new railway for 200km/h could reduce traveling time to 40 minutes. 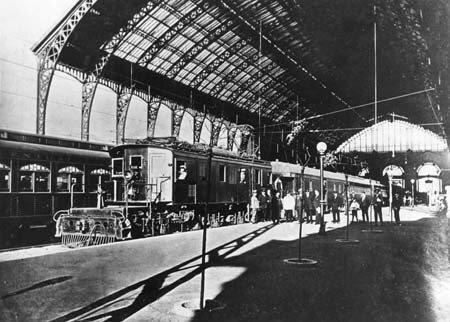 For the railway to the South the Sociedad del Ferrocarril del Sur was founded in 1855. Meiggs and then the government continued its construction. 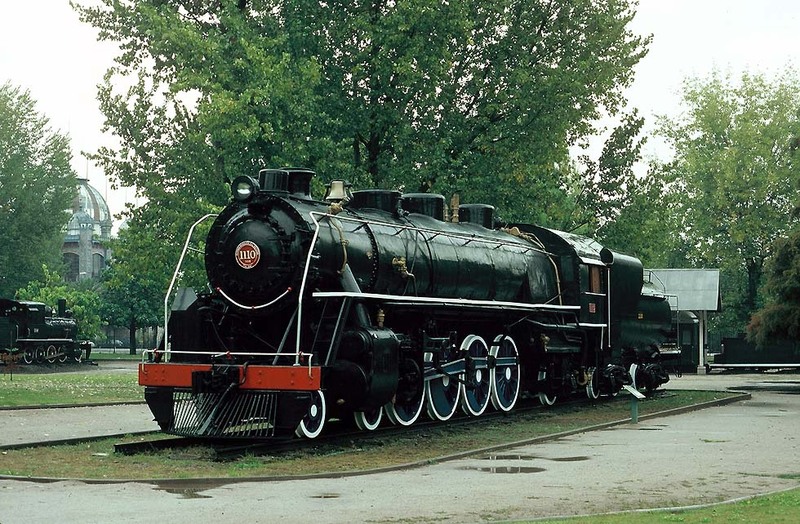 In the first years of the 20th century the broad gauge reached Valdivia and then Puerto Montt, the end of the line. 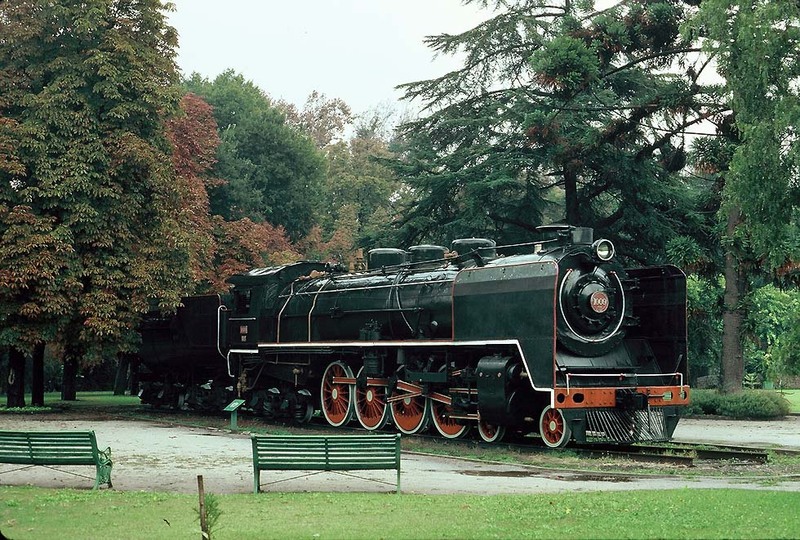 Other than the private railways of Argentina, the Chilean state railways got powerful locomotives, from 1929 the class 80 Baldwin Mountains, in 1935 the class 100 “Super Montana” Niagara, built by Henschel and in 1940 the heaviest one, the class 110 Mountain by Alco. In 1928 American-style sleeping-cars and in 1930 sumptuous Pullman saloons were delivered by LHB from Germany. The Flecha del Sur Santiago-Puerto Montt was hauled already by a 1600 hp diesel when Sir Peter Allen in “On the Old Lines” described his visit to Santiago in 1952. Possibly it was the streamlined maroon/silver General Electric DE16. 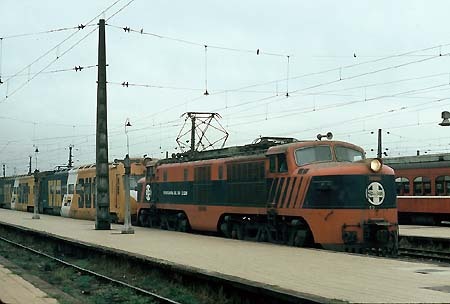 Before 1972 the Flecha Nocturno, consisting of the old brown LHB sleepers and also new olive-green cars, was headed from Santiago to Puerto Montt by a maroon-colored Alco in road-switcher look. In 1972 electrification reached Rosendo, then Chillan and Temuco. Still in 1993 the Rapido to Puerto Montt offered motorcar transport, sleeping-car, diner, “Salon” with reclining seats and coaches, now painted yellow/dark-blue and at departure it was headed by one of the elegant Italian electric engines. Around 1996 the seasonal Expreso Nocturno and the ordinary expresses were confined to Puerto Varas, due to a landslide. A Rapido Nocturno ran to Temuco and the Flecha Nocturno to Conception. Towards the end of the century the timetable showed only a Rapido de la Frontera to Temuco and another one to Conception. In the new century the cozy old sleeping-cars of 1928 with their three Pullman-style sections and three de-Luxe compartments disappeared. 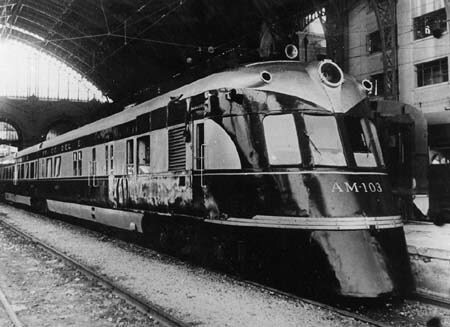 The timetable showed the Rapido Santiago - Temuco with new coaches, diner and motorcar transport. In December 2005 passenger services south of Temuco on the Puerto Montt line reportedly were restored, operated by diesel railcar units, converted from the Spanish class 593. Cook’s timetable e.g. of 2008 however listed no train service to Puerto Montt. Every service from Santiago southward was confined to daylight railcars Santiago – Chillan. The Longitudonal Norte to the arid Atacama desert had started at La Calera on the Valparaiso broad gauge line. Construction began before WWI, using meter gauge with some rack sections. In 1948 in connection with the Antofagasta & Bolivia a railway up to the Andes to Socompa was built, connecting with the Argentian meter gauge to Salta. After 1980 El Internacional Antofagasta - Socompa, including even sleeper and diner, was closed down. The Red Norte never reached its goal, the connection with the Chilean Arica-La Paz railway. It ended at Iquique. Then every passenger service and finally also the Peruvian railcar on the isolated short standard gauge from Arica to Tacna was suspended. . A train from Barquito inland is the only service in the arid north which survived in the 21st century. Colors: yellow/white/dark-blue, 9010 black/white/red, locomotive dark-blue/orange (photo see chapter Travels/ Transandino). Rapido 1017 Santiago - Temuco Similar consist, but without economica, later also with video-bar.